PORT ROYAL, Pa. – Port Royal Speedway is set for Race To Cure Cancer Night coming up this Saturday, April 16 at 6 pm featuring the Weikert’s Livestock 410 sprints, the Aumiller’s Insurance super late models and the PASS/IMCA 305 sprints. Also on the program will be the completion of the rained out 305 sprint main held over from April 2. As part of the night, 50-cents from the sale of each general admission ticket sold will be given to the American Cancer Society chapter of State College. Adult general admission for the show is $15 with students ages 12 – 18 admitted for just $7. Pit gates open at 3 pm with general admission gates opening at 4. Following the April 16 program, all attention turns to the big Keith Kauffman Classic for Tony Stewart’s Arctic Cat All Star Circuit of Champions Sprints and the kickoff of the Moon Shine Camo® Rt. 35 Dirt Late Model Challenge series between Port Royal and Selinsgrove Speedways, at 7 pm. The Kauffman Classic will go 30-laps for $5,000 to win while the Moon Shine Late Model Series feature will pay $2,000 to win and $200 to start the 25-lap main event. A banner field of cars is expected to enter both events with the likes of Dale Blaney, Dave Blaney, Sheldon Haudenschild, Chad Kemenah, Danny Holtgraver, Kraig Kinser and more competing in the Kauffman All Stars Classic. The late model field should be tough as well with stars like Dylan Yoder, Jim Yoder, Nick Dickson and more likely to be on hand. Port Royal is in action on April 30 with 410 sprints, super late models and the PASS/IMCA 305 sprints. 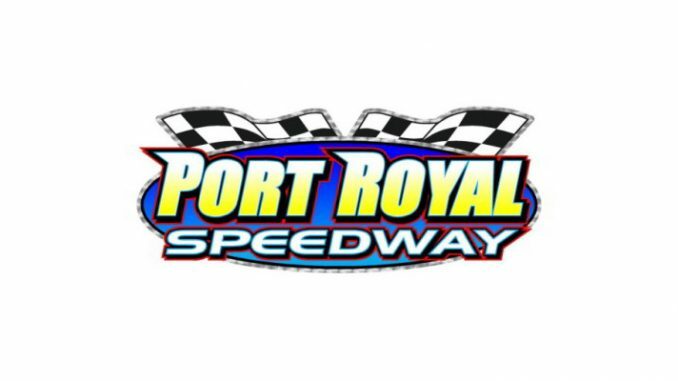 Stay up to date with all the latest Port Royal news and information by visiting the oval’s official website at www.portroyalspeedway.com or by following the track on Facebook or Twitter.